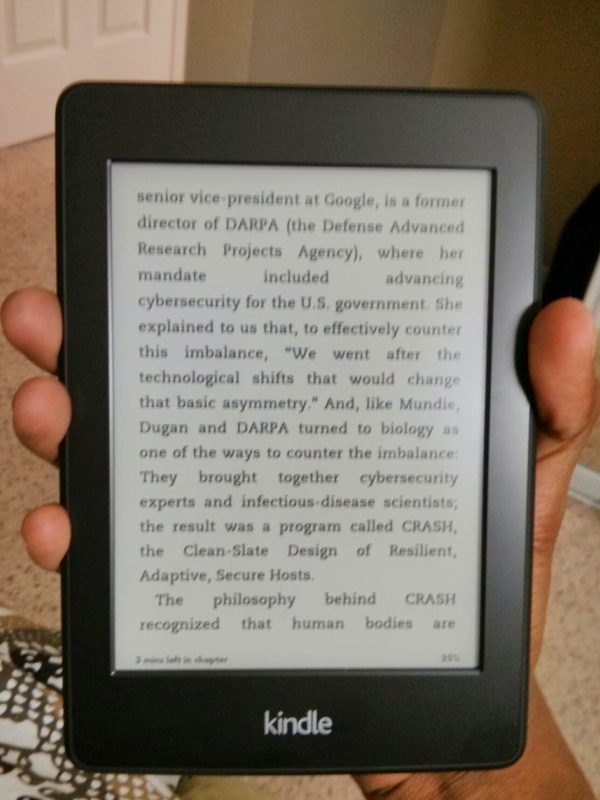 Kindle Paperwhite is small: it has a 6-inch screen while Nexus 7 has a 7-inch screen and iPad Mini has a 7.9-inch screen. The Kindle is lighter too: it weighs 206 grams while Nexus 7 and iPad Mini weigh 290 grams and 331 grams respectively. I can hold it on just one side, but turning pages will still be impossible with one hand. Turning pages will require me to move my thumb onto the screen. 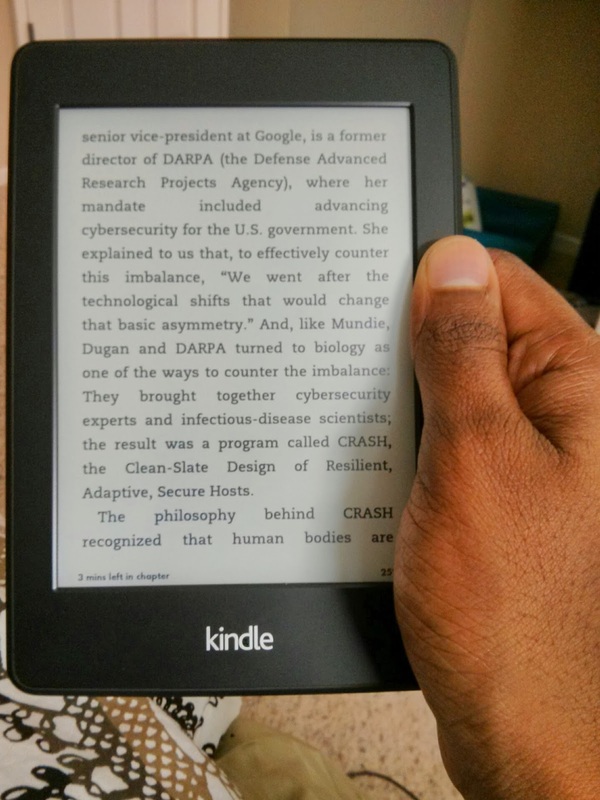 Adding a hardware Next Page button right where my thumb is will make it easy to use the Kindle with just one hand. Why didn’t you think of that, +Amazon.com?